Bird Id - Forum - Identifying Birds - What Is This Lbj Please? Forum > Identifying Birds > What Is This Lbj Please? 3 This was taken at Pulborough brooks sussex 10/04/15. There were chiff chaffs and a blackcap around then this very brown bird popped up for a while then flew off deep into the low trees. 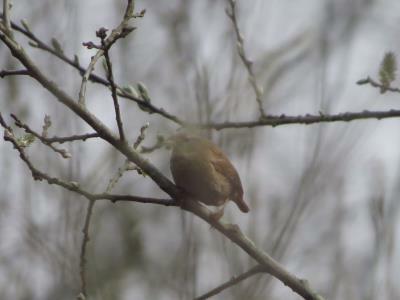 Most annoying, i am sure it was not a dunnock. This area does get nightingales but I thought it was a bit small for that . I piece of twig prevents seeing the eye clearly. Any ideas?